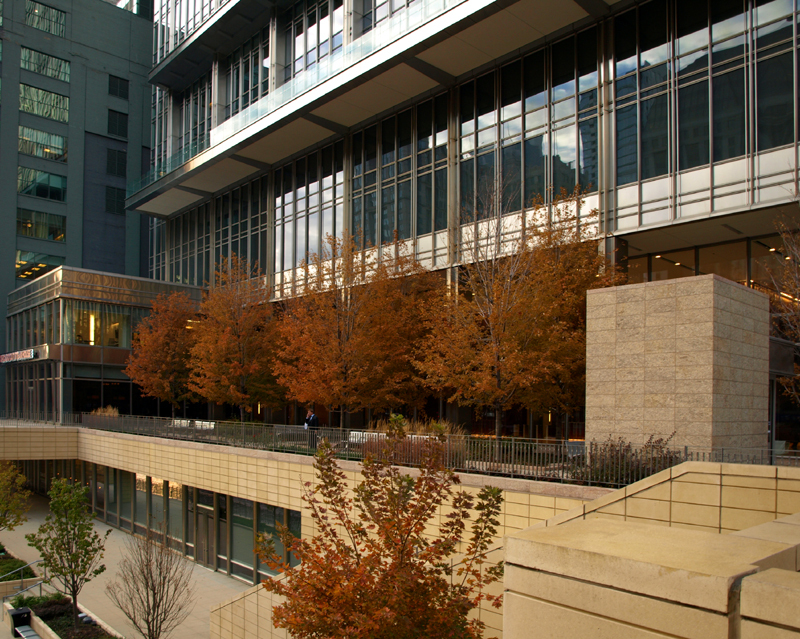 • Lighting	 Quentin Thomas Associates, Inc.
Comprised of office, retail, restaurant, amenity and public spaces as well as below-grade parking, 300 North LaSalle re-establishes a pedestrian connection to the city, featuring a half acre waterfront public garden with direct access to the river and views of the city. 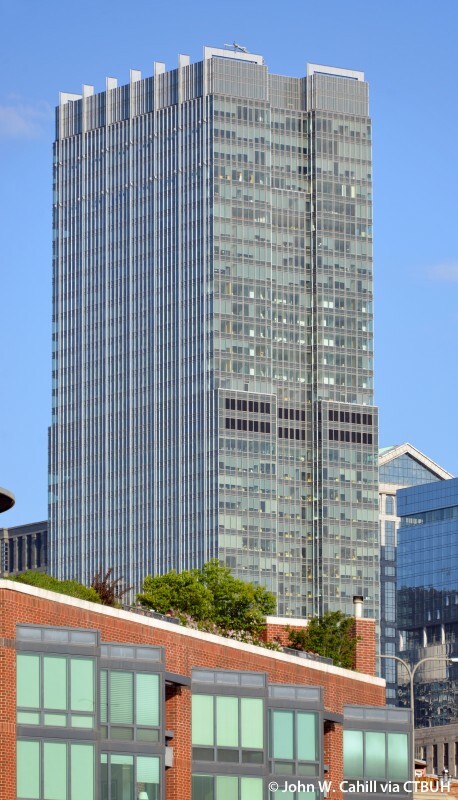 The thoughtful placement of the tower’s rectangular form on the northern limit of its site maximizes the southern exposure of the public garden whilst minimizing solar gain on the narrower east and west façades. 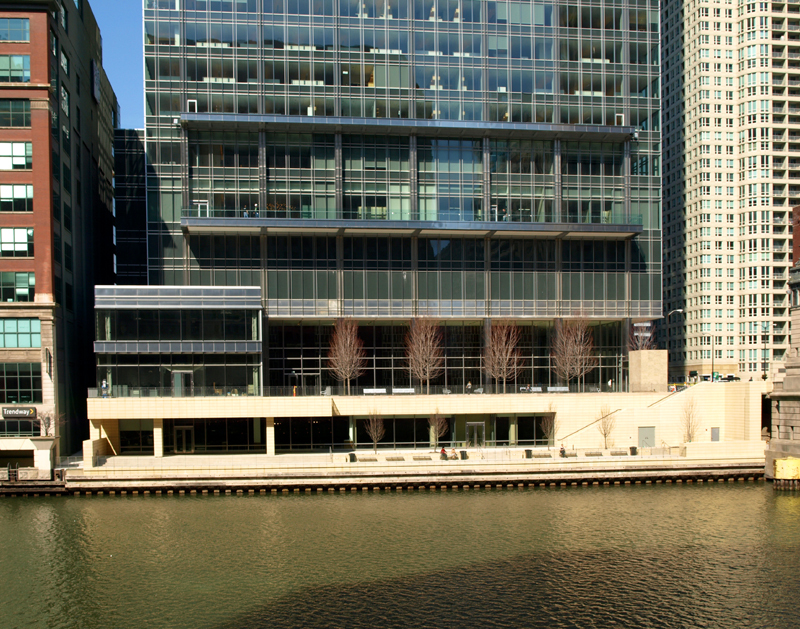 An asset for this area of Chicago, this public space enhances the streetscape at the base of the LaSalle Street Bridge and cascades to the river with a fine dining restaurant, landscaped terraced seating and a waterfront café. 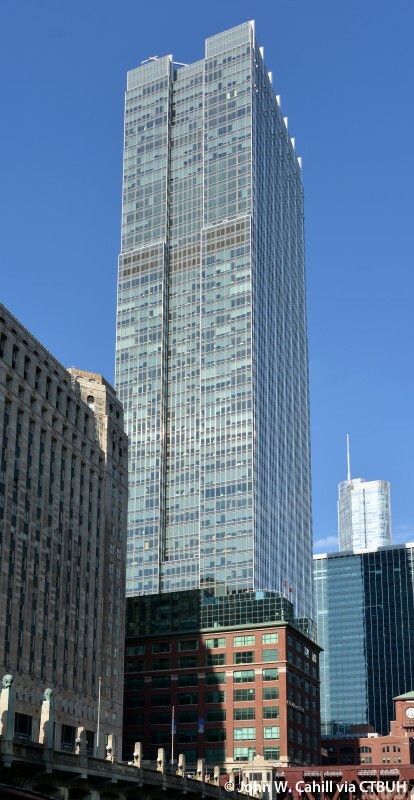 The tower’s design accommodates efficiency and flexibility in interior planning and its floor-to-ceiling glass provides abundant natural light and dramatic views. 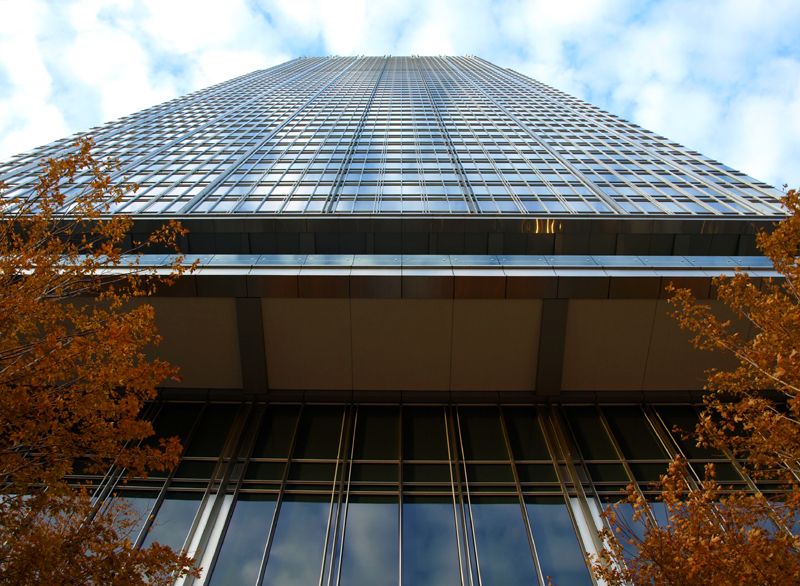 The transparency and luminosity of its façade create a lighter, delicate silhouette. 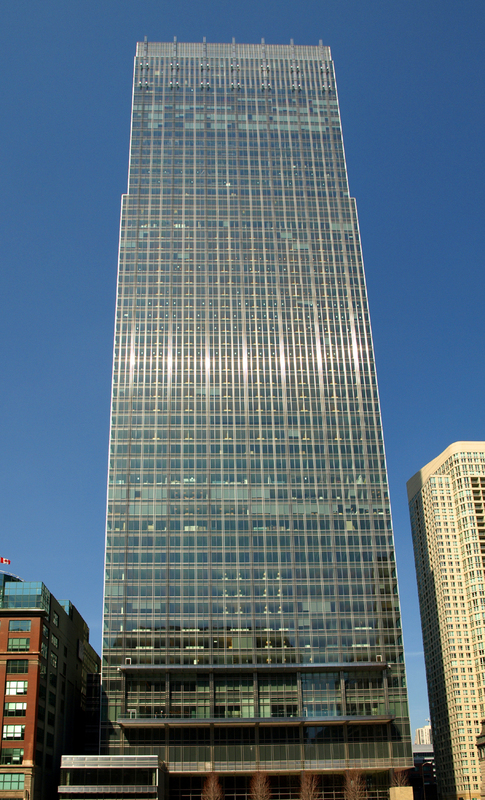 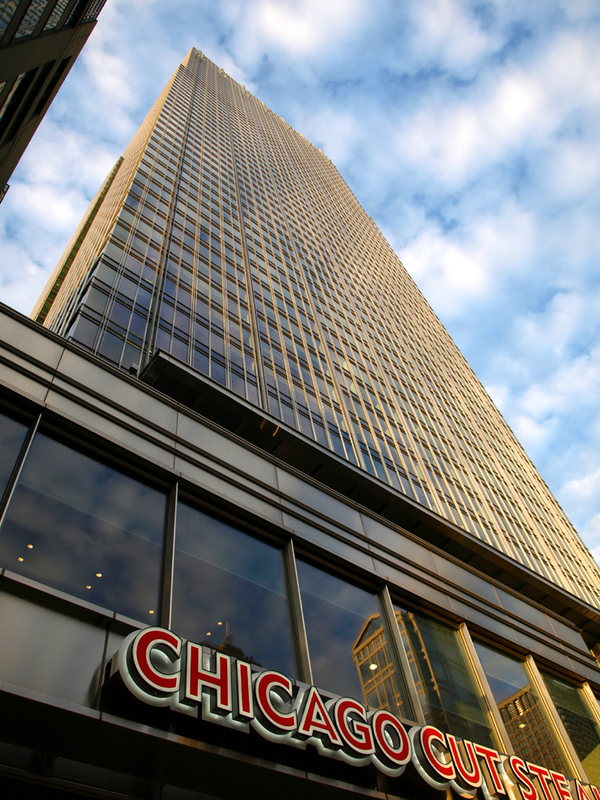 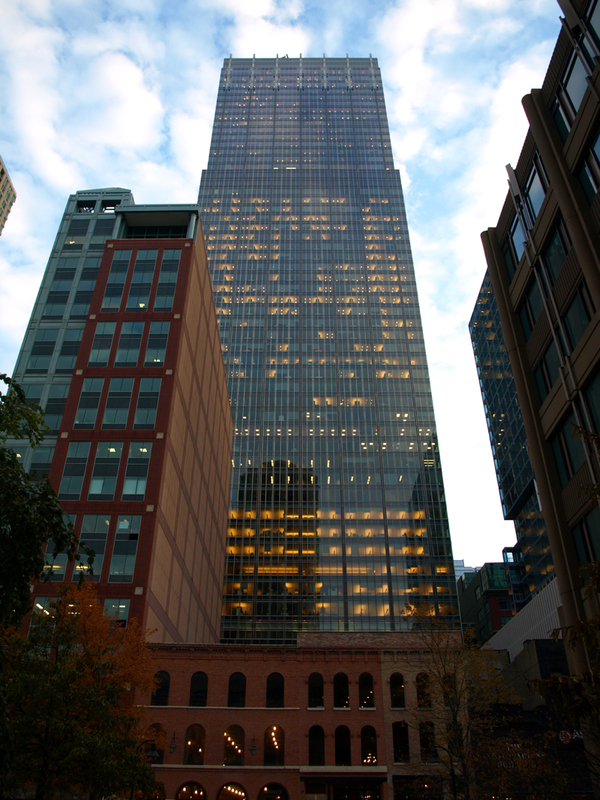 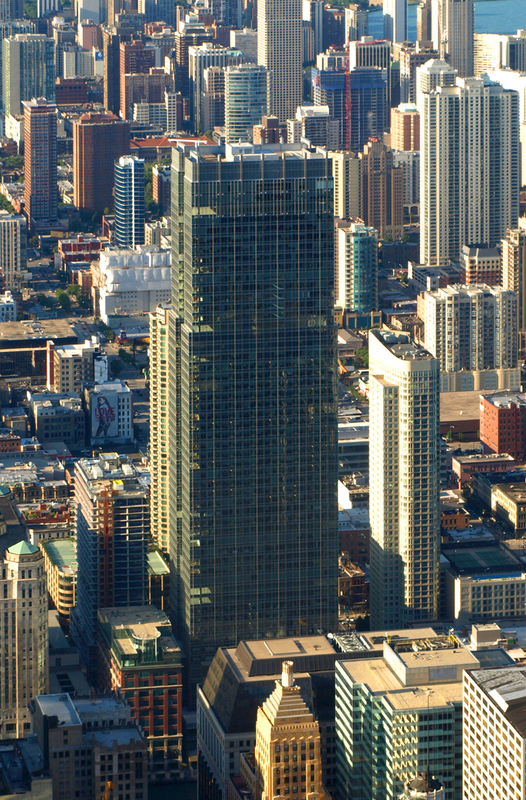 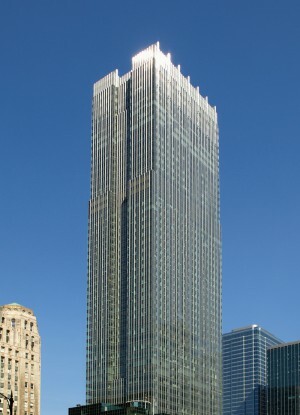 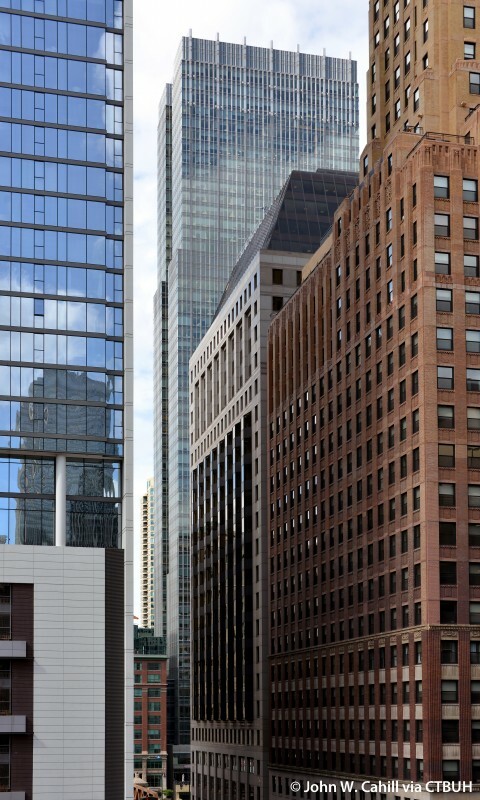 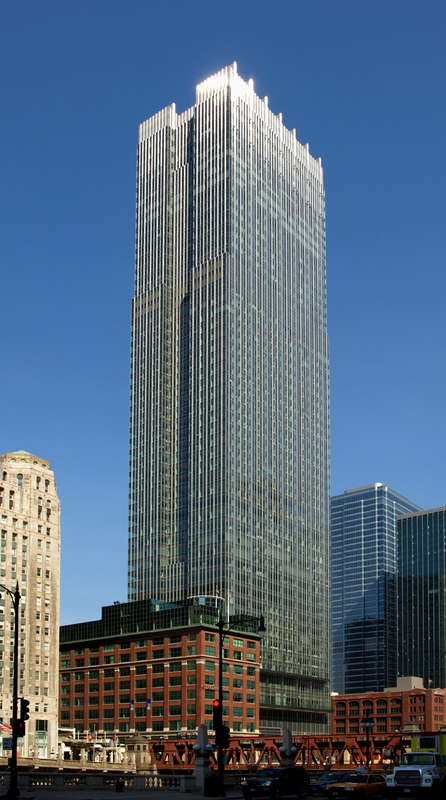 A desire for a modern image anchored in the past informed the design that recalls the Chicago Miesian tradition as well as art deco stepped skyscrapers. 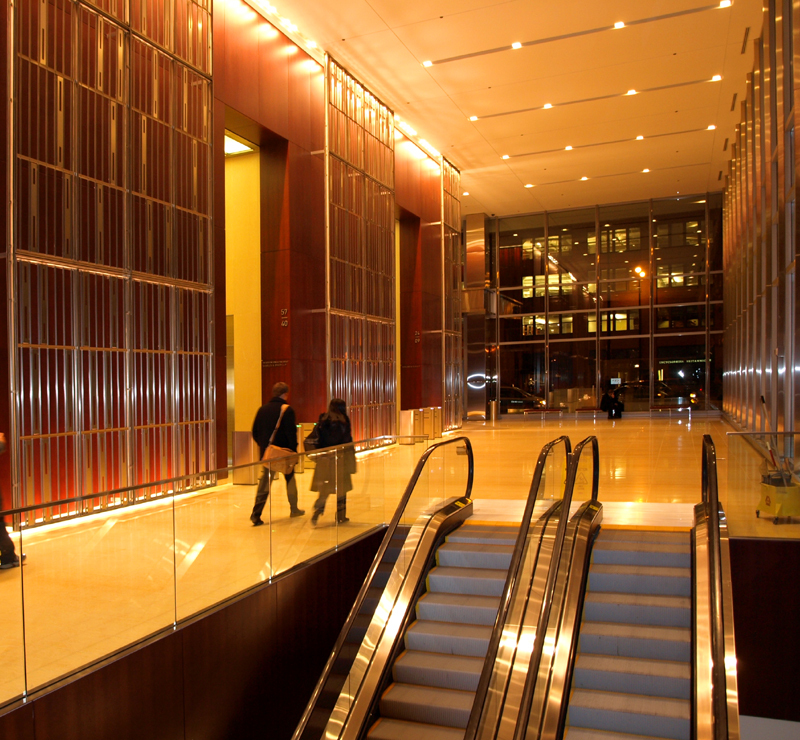 The elegant, three-story lobby features a decorative screen of cherry wood and ornamental stainless steel, set off by a floor of golden limestone. 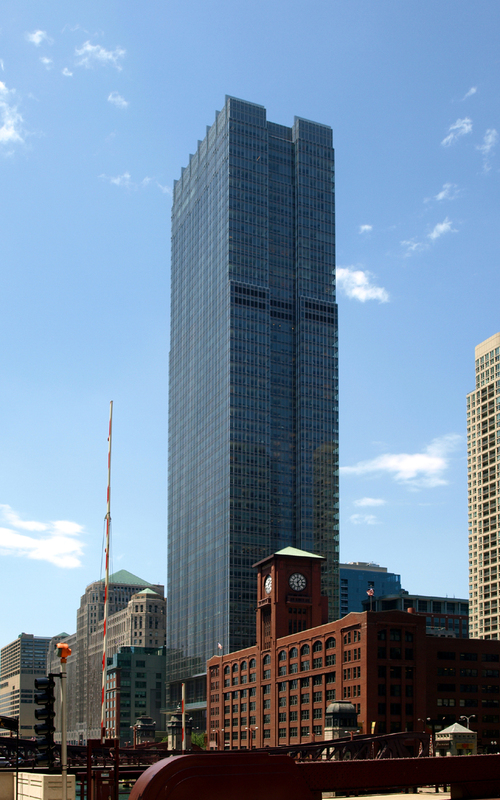 The tower culminates with a luminous, articulated stainless steel crown which acts as a beacon along the Chicago River. 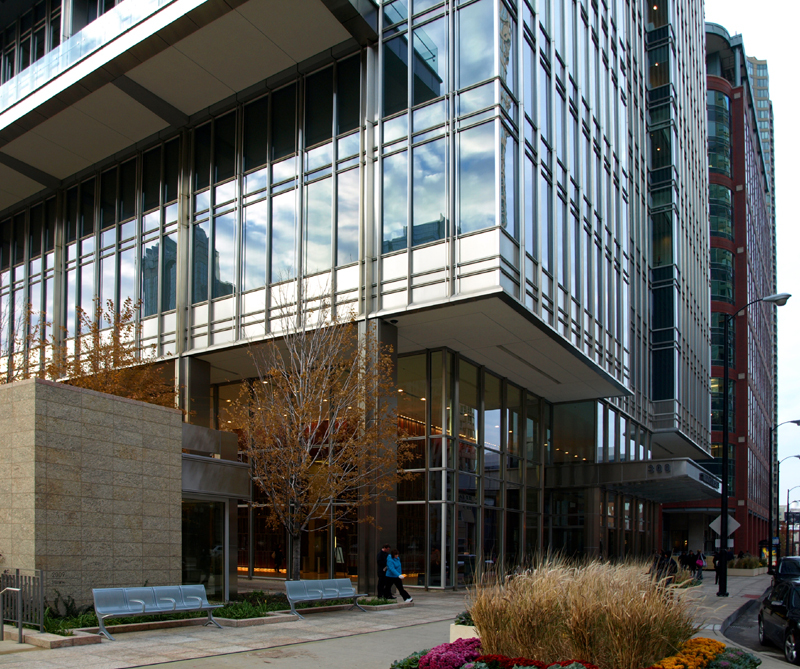 The building’s façade of clear low-E glass and stainless steel shading fins maximizes daylight while mitigating solar heat gain. 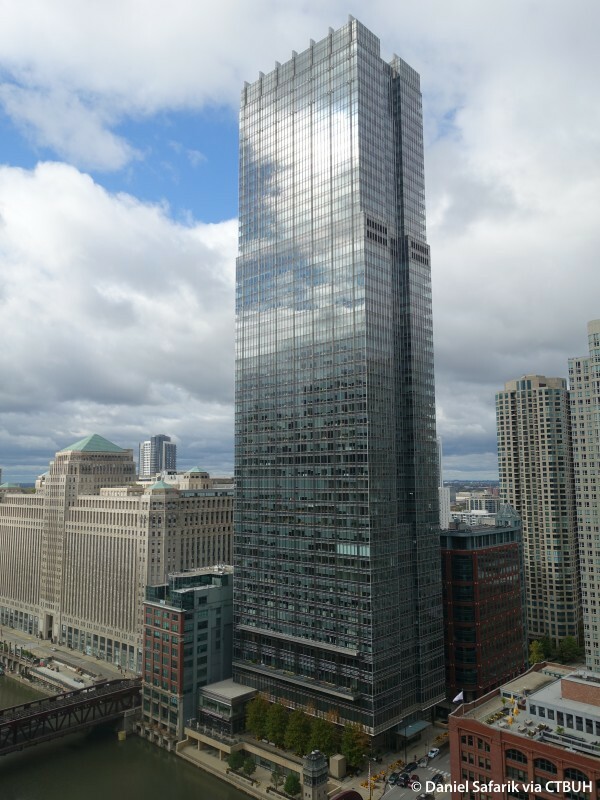 The tower uses condenser water supplied by the Chicago River to reject heat from the chilled water air conditioning system and eliminate the need for cooling towers, make-up water and chemicals, thus eliminating 10 million gallons of evaporation annually.